If you're a woman with—hmm, how should we put this—prehistoric taste in clothing and accessories—you would likely do well to consider lacing yourself in hardened calcium. As accessories usually are (lookin' at you, chokers), retro is all the rage. This is finally your chance to make a statement. This is your chance to be a trendsetter. This is, perhaps, your first and last chance to eschew the flashy 90s windbreakers and understated 80s kicks in favor of something much more...classic. All we know is if older is better, this will land you a spot on a runway somewhere. 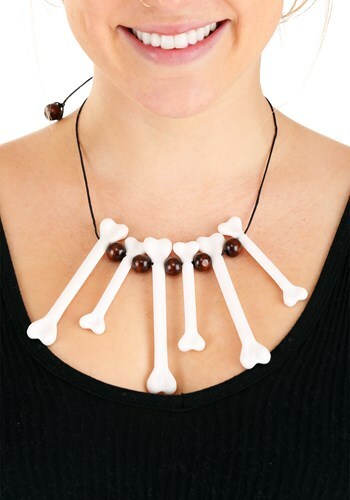 Or maybe we're wrong, and you just want to give your cavewoman some prehistoric bling this Halloween. Either way, don't miss out on this hot new trend, or you might feel like a bonehead.